The Truck Loggers Association asked its members to outline concerns about contractor’s role in wildfire suppression in B.C. Photo by Lars Hobenshield. The 2018 wildfire season in B.C. was reported to be the worst on record, with major forest fires occurring throughout most of the province. What was most alarming was that it followed an historic 2017 wildfire season, portending a daunting trend in fire behaviour in this province. Wildfires in B.C. are managed by the BC Wildfire Service, a provincial government service comprising fire prevention, emergency management, administration, operational, planning and suppression staff. The majority of positions delivering wildfire management services are seasonal in nature. Contractors can register with the BC Wildfire Service through request for standing offer competitions (regularly posted on BC Bid). Accepted contractors are assigned emergency work based on nearest or best-resource methodology, as determined by the BC Wildfire Service. Owners of heavy equipment can also pre-register their equipment with the BC Wildfire Service for callout as required during a wildfire or emergency event. When a small fire starts at or near an active forestry operation worksite, the prime contractor is obligated to ensure that all work is safe when employees take action. However, when a fire becomes large and develops into a “project fire,” the province assumes the prime contractor’s role, along with the responsibilities of directing activities with respect to the fire. There is considerable concern from B.C. contractors about the province’s responsibility when assuming the prime role in cases when many contractors and, often, dozens of pieces of heavy equipment are involved. 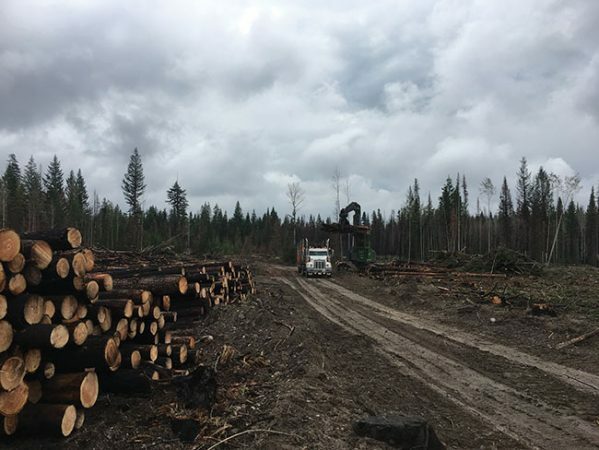 Since the province is not in the business of supervising and being responsible for large fleets of forestry equipment, it must rely on each contractor to operate in a manner that is consistent with being a prime contractor on its own site. For example, safety plans and safe work procedures must be documented and implemented, check-in procedures must be followed, safety signage must be set up, etc. Greater clarification is needed around the prime and sub-contractors’ responsibilities in order to establish a better understanding of employer responsibilities, achieve faster action on fires, and facilitate accounting of administration costs. Some TLA members report feeling frustrated by the approach to forest fire suppression as a full-time career versus part of a forestry job. When resources are spread thin on provincial crews, contractors report that junior seasonal staff are often put into positions of authority on fire-management teams, when the fire-suppression and general forestry training and expertise of the local forestry contractor pool is often far superior to that of these junior staff. This lack of local knowledge, available resources, and experience in managing these crews and forestry equipment, which has at times led to friction and inefficiency in fire-suppression activity, is also seen as adding unnecessary cost and crew stress, often resulting in needless destruction of land and lost timber, as well as streams requiring rehabilitation once a fire has been extinguished. Furthermore, many contractors report that back-burning activities authorized and completed by inexperienced staff have resulted in unnecessary loss of valuable timber, and have significantly increased fire size in some cases. In turn, this has resulted in lost stumpage revenue to the province, along with higher firefighting and rehabilitation costs. The province’s obligations in assuming the prime contractor role, as well as the training and experience of staff placed in ground-level decision-making positions, should be reviewed. Increased communication and utilization of experienced local contractors may result in more effective fire-suppression and a lower cost for project fires. A contractor harvests fire-damaged wood in B.C. Photo courtesy WorkSafeBC. The province allocates resources as it sees fit to respond to fires in order to protect priority populations and infrastructure. But the contractors who work in the woods are typically underutilized in initial attack scenarios. In fact, over the past few years, the timing of initial attack has frequently been questionable, especially at peak fire season. Many fires have been left for a full day or more, resulting in larger and more expensive project fires. When provincial resources are limited, contractor resources are readily available to respond to new fire starts, and many contractors have staff who began their careers working as firefighters on government crews and are able to offer valuable fire-suppression experience. Furthermore, those working in active operations are highly familiar with the local terrain, road networks and locations of resources that could be made available to act on some fires while they are still small and inexpensive to extinguish. A recent example of an inadequate initial attack was when equipment was requested for a lightning strike fire late one afternoon. Three skidders and a bulldozer with crew were delivered to the site at 6 a.m. the next morning. Amid uncertainty in direction, the crew waited until 9 a.m. before fire centre staff arrived, at which time it was explained that the centre member was not authorized to instruct the equipment to build a guard; the crew and equipment demobilized and left. The following day, the equipment was again requested for what was now a much larger fire. Without pointing blame, this is a real-life example that should provide incentive for better communication and cross-training between fire crews and local industry contractors. There are other concerns for a contractor wanting to deploy equipment and manpower to a fire. For instance, what happens when a piece of heavy equipment is destroyed by a fire during fire-suppression work, or damaged in transit to fight a fire? Is it covered by insurance? What is the deductible and replacement cost to the owner? In order to register equipment for fire-suppression work with the province, the owner must supply a copy of valid insurance – equipment cannot be registered if it is not insured. During preplanning, this process excludes a large pool of equipment that may be seasonally uninsured. If equipment could be registered, and valid insurance provided when the equipment is required, the province would have access to more valuable equipment more quickly. Then there is the confusion that occurs when a piece of equipment is registered in one fire centre (or hometown) but is not utilized when needed on a fire adjacent to a logging worksite outside the hometown area. As a recent example, a company with the hometown of Merritt was harvesting timber near Kamloops when a fire started nearby. The equipment on site was not used because the fire centre wanted to keep local resources available (on paper) in Merritt in case a fire started there. Other Kamloops-registered equipment was brought in instead of using the nearby equipment, resulting in a delay of several hours in initiating fire-guard construction. Communication between the fire centre, local contractors and on-the-ground crews about following policies needs to improve if efforts are to be more efficient. Most contractors have businesses established around specific forestry work, e.g., harvesting or road-building. Typically, equipment, staff and resources are set up to work productively within their own operation. Therefore, when a fire starts, a contractor may or may not be set up to switch gears and still operate their business efficiently while accommodating fire-suppression tasks. If a regular business routine is disrupted due to a switch to fire suppression, the fire-generated revenue must replace the regular business revenue in order to avoid undue financial hardship on the business; this is a significant issue for contractors who are already struggling to remain sustainable. Current-rate firefighting structures allow for fire labour and equipment, but it is very difficult to receive compensation for the administrative and support personnel required to continue running a business during a period of fire activity. In summary, although a very large pool of independent owners and operators exists, this pool is underutilized during the initial attack phase and during larger project fires. Furthermore, these resources are generally not pre-registered on fire-centre databases. Contractors require a quick and easy method of adding appropriate insurance and getting contracts or timesheets set up to be available for firefighting emergencies. Importantly, based on poor previous experiences, many contractors report avoiding assisting with fire-suppression activities due to contract administration issues, insurance requirements and lengthy delays in payment. Contractors are skilled, experienced and efficient resources and should be an integral component of provincial fire-suppression activities, especially during the initial attack phase. 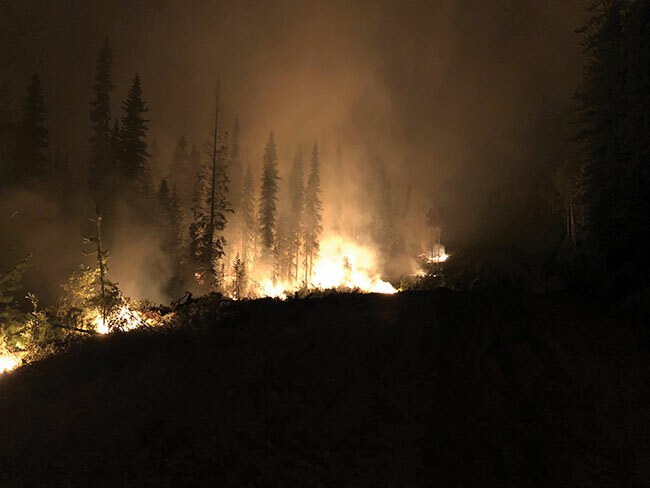 When a wildfire begins on the working forest land base, contractors – who are passionate about protecting their working resource and the province’s productive forest land base – are typically more than willing to utilize their fire-suppression and cross-training experience. To help improve firefighting results and reduce costs to the province, vital improvements are needed, including better pre-planning, more cross-training, improvements in communication, and increased utilization of localized contractor resources. The above presents a sample of the feedback received by the TLA, and we expect more as we continue to examine this issue. As we prepare for the 2019 wildfire season, we encourage dialogue with contractors to ultimately ensure that we as an industry are doing as effective a job as possible utilizing human resources, equipment and taxpayer dollars. David Elstone is the executive director of the Truck Loggers Association. Chris Cole, RPF, PEng., is an independent contractor auditing and helping organizations improve safety, environmental, and operational performance.